How Much Do Yachts Cost? We’ve had a horrible, long, cold, wet winter here in the UK. But spring has sprung at last and, along with the nicer weather, we’re getting our usual springtime flurry of enquiries from people keen to find out more about our luxury motor yachts. We see that a lot of people carry out online searches to find out how much it costs to buy a yacht that’s the absolute ultimate in luxury. The answer, of course, is ‘how long is a piece of string’. While you can find a luxurious, top quality yacht for a reasonable price you can also spend countless millions – even billions – on one of the finest super yachts the world has to offer. It’s a fascinating subject, so let’s take a look at some of the most beautiful, exclusive and expensive yachts available, and examine some equally stunning craft at the more accessible end of the scale. Right at the top of the luxury yachts list is the magnificent, unbelievably expensive History Supreme. It comes with a price tag that makes plenty of millionaires flinch, an awesome $4.5 billion US dollars, roughly £3.2 billion. So what, exactly, do you get for your money? At just 100 feet long she’s far from the biggest yacht in the world. But the History Supreme boasts a design by the undisputed king of UK luxury boat design, Stuart Hughes. She took more than three years to build and contains around 100,000kg of solid gold and platinum, both used lavishly throughout the vessel. The entire base of the craft, for example, is coated in a layer of gold, as are the dining room, deck, rails, staircases and anchor. So far, so amazing. But the most extraordinary feature of this world-beating craft has to be the master bedroom, where the feature wall is made of rock from meteorites, a super-rare material. There’s also a statue made from real Tyrannosaurus Rex bones and a 24 carat gold Panoramic Wall Aquarium. And the mind-blowingly beautiful liquor bottle, designed specially for the owner’s favourite tipple, showcases a brilliant 18.5 carat diamond worth forty five million dollars. The Eclipse cost its Russian owner a mere $1.5 billion, just £1.07 billion, relatively cheap when compared with the History Supreme. Roman Abramovich is rightfully proud of his remarkable craft, created specially by Blohm and Voss of Hamburg and a whopping 536 feet long. As well as the second most expensive yacht in the world, it’s also the second largest. The Eclipse contains 24 luxurious guest cabins. There are two swimming pools, a collection of hot tubs and two heli-pads. It has an immense disco and comes with three launches and even a mini-submarine. But this very special vessel focuses just as hard on security as it does luxury. It has state-of-the-art intruder detection systems and its very own missiles, armour plating, bulletproof windows and an anti-paparazzi laser shield that shines a dazzling light to stop paparazzi taking photos. All this magnificence demands a huge crew of seventy. 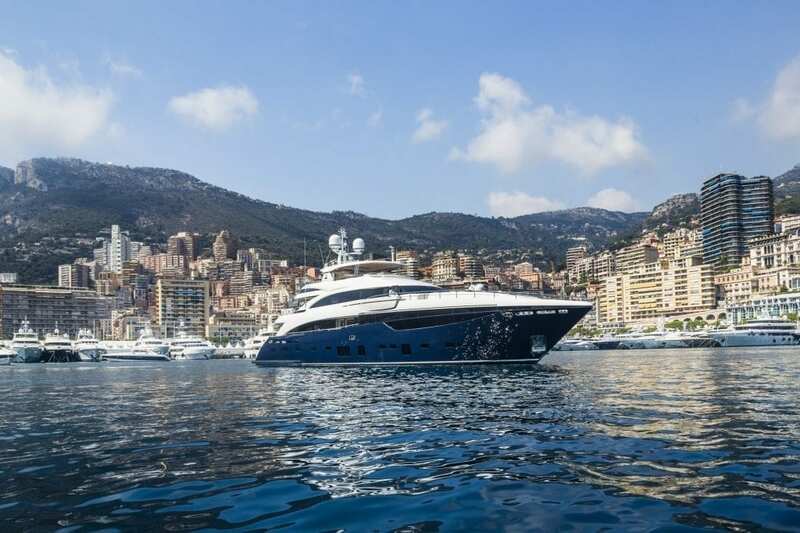 How much are super yachts? How much do super yachts cost? The tenth most expensive yacht in the world is the Lady Moura, priced at a cool $210 million and specially built to a unique design by Blohm + Voss shipyards for Nasser Al-Rashid. Built in 1990, she remains a record-breaker. The Lady Moura is 344-foot long and features a glorious pool with a retractable roof, its own helicopter and boats, plus a magnificent 75 foot dining room table made by Viscount Linley, a member of the British royal family. A maximum of thirty guests are looked after by a crew of sixty. But it’s her legendary – and unique – sand-covered hydraulic platform that takes the biscuit. It acts as a faux beach when rolled out, complete with deckchairs and real palm trees. Not every superyacht costs as much as the Lady Moura. A superyacht is classified as more than 24 metres long, and the market for these magnificent craft has boomed for some time, growing 600% since the 1980s. These days there are at least 10,000 superyachts on the planet, up from just 1500 in the late 1970s, and around 700 superyachts are under construction around the world as we write. The Dutch shipyard Heesen sells its 47 metre Project Ruya vessel for €29,9 million, and the 72-meter Axioma, a top-performing charter craft, sells for €68 million. That’s far from peanuts. 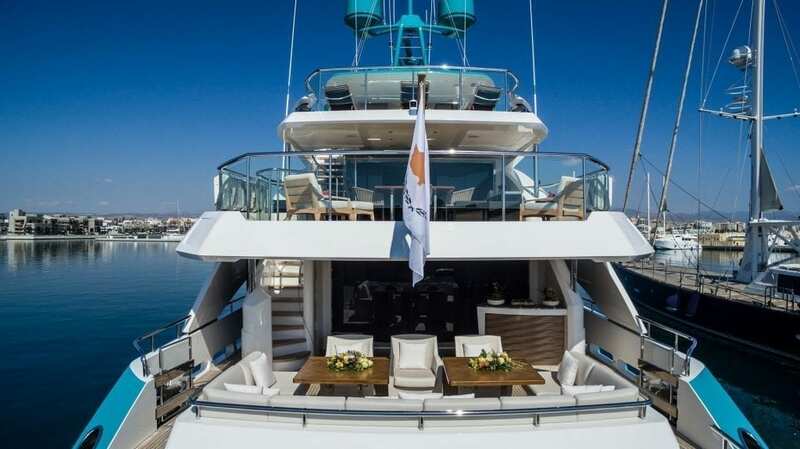 The classes of new luxury yacht built by Princess are somewhat more affordable, at least compared to the excesses of the world’s most expensive craft! Take the stunning range of M Class yachts, designed with the ultimate in luxury at their heart, packed with personality and as innovative as they are exciting. The exceptionally commanding tri-deck 40M, for instance, is a breathtaking beast whose powerful lines flow elegantly around her sublime architecture. She provides secluded sunbathing and luxury spas, plus fine dining and her very own walk-in beach club. She’s remarkably light and airy inside, and every tiny bespoke detail is finished with love, dedication and precision. Costs vary, depending on which features and extras you choose so please contact us to find out more. The Princess 30M is equally splendid, a legend in her own lifetime and one of the most beautiful, luxurious raised pilothouse yachts on the planet! The huge flybridge plays host to sun loungers and sofas, a gorgeous dining space, wet bar and spa bath. The interior volume has to be seen to be believed, and the finish throughout is handcrafted to perfection by people who are incredibly proud of their work. 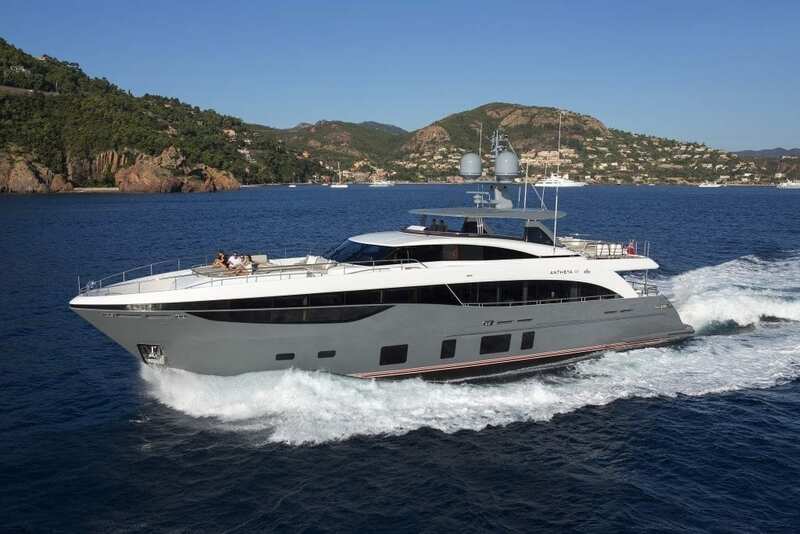 With a choice of either three or four beautifully appointed en suite cabins, this is a truly magnificent luxury yacht. The icing on our luxury yacht cake is something brand new, and we’re very proud to say it’s an entirely new class of yacht. It isn’t available for some time yet – see the countdown on the Princess website – but when she is, we’re fully expecting a flurry of interest from yacht lovers all over the world. Introducing the magical R Class, the all-new, latest and greatest creation from Princess. The Princess R Class is a dramatic, exhilarating, cutting edge craft. 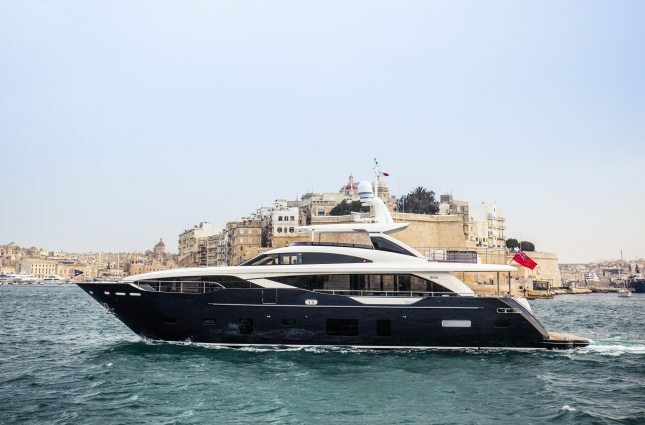 She’s 35ft in length, made from 100% carbon fibre, fitted with enormously powerful V8 engines and delivering an extraordinary top speed of 50 knots. She has been created in partnership with the brilliant BAR Technologies and Pininfarina, guaranteeing the most advanced technology blended with sublime naval architecture. The R Class is set to give yacht lovers the fastest, most efficient experience so far, thanks to an interior rich in innovative features, a massive concealed cabin, perfectly-equipped galley, generous seating area plus the opportunity to create a generous extra double berth with ensuite. The R-35 will rock your world. Register your interest in the R-35 here and we’ll keep you updated. 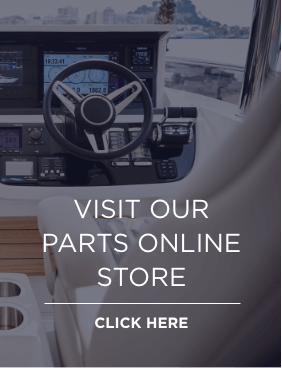 If you’re dreaming about one day owning your own luxury yacht, new or used, and would like to explore the potential with an expert, we’ll be absolutely delighted to talk yachts with you. Just get in touch. Call +44 (0)1489 557755, email: sales@princess.co.uk or click here to contact the Princess team for friendly, fast, highly professional help and support.